A COMPLETE SERVICES PACKAGE allows each member to better understand sector’s challenges thanks to the support of ELIPSO’s experts: substances, mineral oils, biobased, opaque PET, marine litter, LCA, migrations, The issues addresses are vast. Any doubt, any questions, ELIPSO will answer you on live. ELIPSO is very active in various working groups with national authorities but also with a huge number of players in the value chain. Commissions are regularly organised with members to inform and build up a common policy for our industry. Working groups on specific subjects can beheld also in order to develop a road map with clear goals and deadlines. ELIPSO provides an important means of networking. A personalized Q & A service is proposed to members on topics related to consumer safety. A doubt about BPA, mineral oils, toxicity, bonus/malus, etc., ELIPSO will assist you and give you a first level answer on all these issues related to plastic and flexible packaging. A personalized question & answer service is offered to members on subjects related to environment – circular economy. A doubt about the: bonus-malus, recycling, LCA, choice of material, etc., ELIPSO assists you and delivers a first level response on all these issues related to plastic and flexible packaging. Communication actions (press, trade fairs, social medias, awards). Press points at ELIPSO or speeches at conferences are organised to assert our specificities as well as our innovative and sustainable commitments. National and European regulatory intelligence, press monitoring, lobbying. 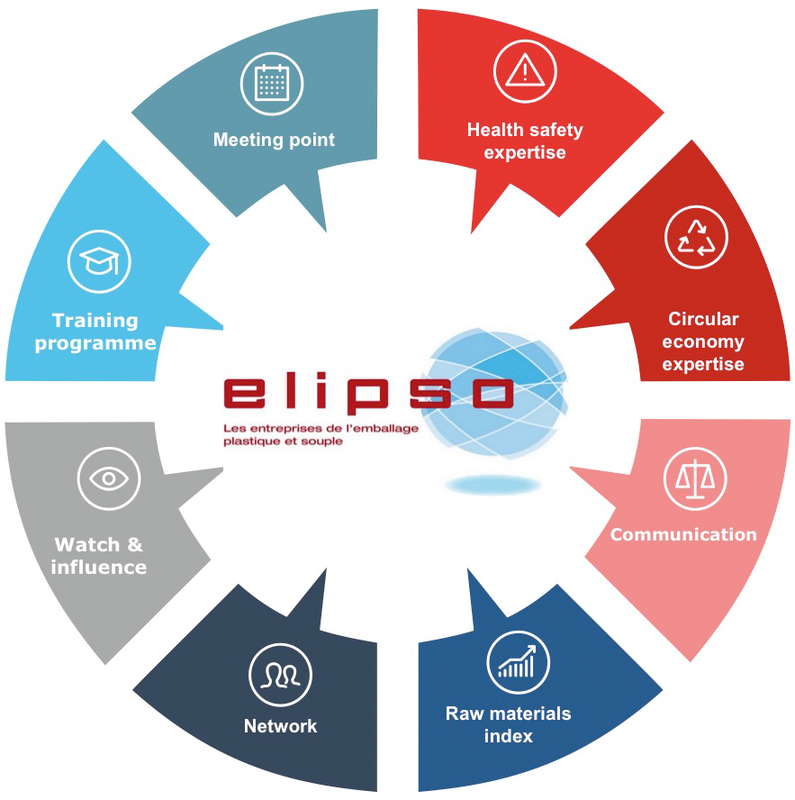 ELIPSO propose to members one-day training sessions specific to the packaging world, with selected trainers and experts: environmental claims, social medias, negotiation, etc. Two meeting rooms you can book in the heart of Paris (Quartier Opéra). Emmanuel Guichard, ELIPSO General Delegate and Christophe Morvan, ELIPSO Communication Manager, are at your disposal to discuss your membership on 01 46 22 33 66.